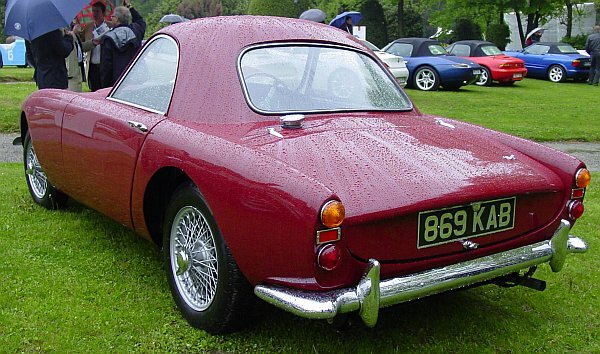 is one of the most traditional, most elegant, and most impressive Concours in Europe. Due to limited space at the Villa D'Este, it's open to the public only on Sunday, when it is at Villa Erba. 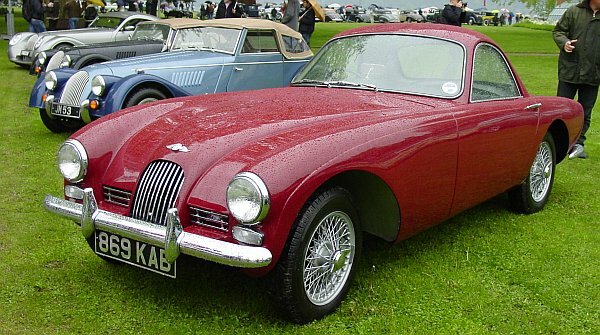 Only about 60 cars are listed for the show, but they are the finest cars that you can find. Unfortunately, in 2009, when I was there the very first time, the Sunday was rainy. But I think I was able to take some interesting photos, anyway. BMW, organizer, and main-sponsor showed a couple of interesting cars at the pavillon, and outside. 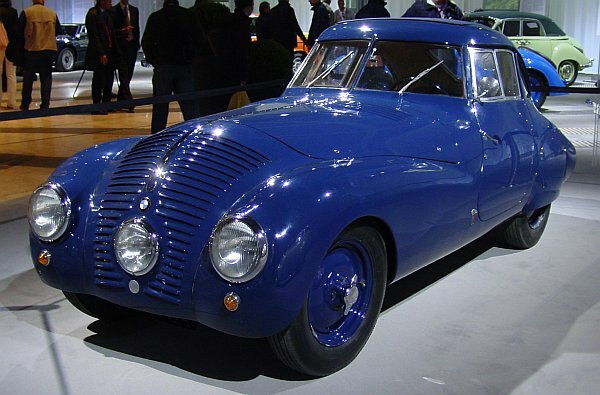 The BMW-display included several 328, but showed the history of BMW from the beginning (with a Dixi) until the latest Z4. 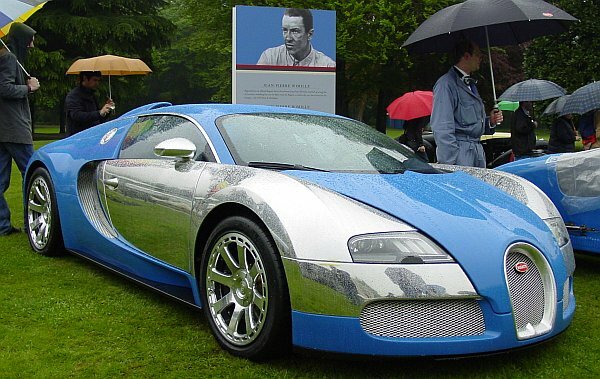 Bugatti, also a sponsor of this event, celebrated 100 Years of Bugatti-cars. Morgan also showed some cars. 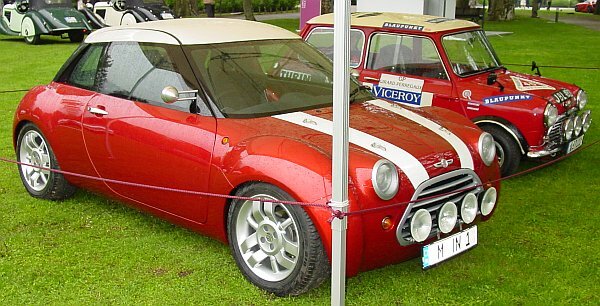 And there was a small Mini-display, showing that this company today is owned by BMW. 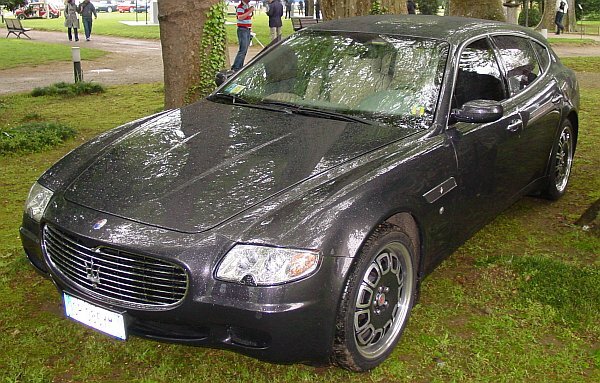 A special guest was parked under some trees, the Carrozzeria Touring Maserati Ballagio Fastback, based on a Quattroporte. So, enjoy my impressions of one of the greatest car events in Europe!